In the aftermath of the 2016 presidential election, many Americans questioned how to respond to the results and the deep divisions in our country exposed by the campaign. Many people of faith turned to their religious communities for guidance and support. Many looked for ways to take action. In November 2016, biblical scholar Andrea L. Weiss and graphic designer Lisa M. Weinberger teamed up to create an innovative response: a national nonpartisan campaign that used letters and social media to highlight core American values connected to our diverse religious traditions. 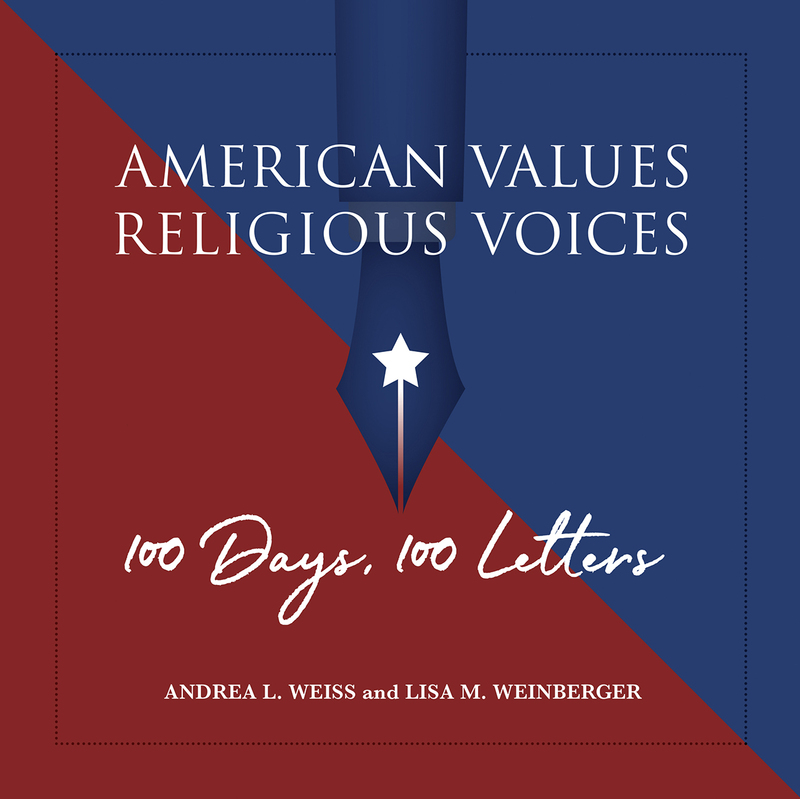 American Values, Religious Voices: 100 Days, 100 Letters is a collection of letters written by some of America’s most accomplished and thoughtful scholars of religion during the first 100 days of the Trump presidency. While the letters are addressed to the president, vice president, and members of the 115th Congress and Trump administration, they speak to a broad audience of Americans looking for wisdom and encouragement at this tumultuous time in our nation’s history. This unique volume assembles the 100 letters, plus four new supplemental essays and many of the graphic illustrations that enhanced the campaign. Published near the midway point of the Trump presidency, this book showcases a wide range of ancient sacred texts that pertain to our most pressing contemporary issues. At a time of great division in our country, this post-election project models how people of different backgrounds can listen to and learn from one another. The letters offer insight and inspiration, reminding us of the enduring values that make our nation great. —Rev. Jennifer Crumpton, author of Femmevangelical: The Modern Girl’s Guide to the Good News.